We always feel a little sorry as the road starts to improve and first hint of the end of the desert appears on the horizon. It's a wonderful place, full of contrast and subtlety, and we console ourselves with the thought that our senses will have time to recover, but we are never right in that regard either. 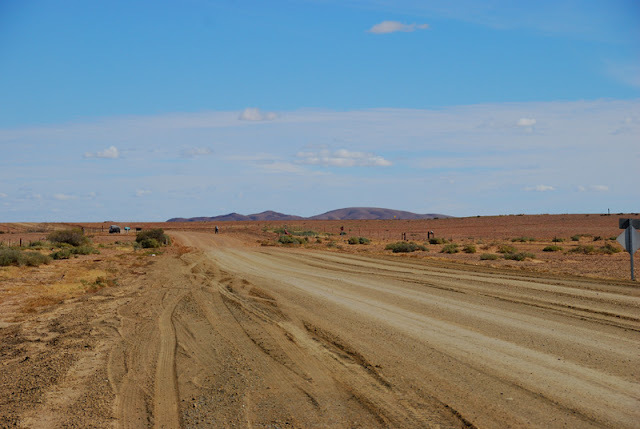 Towards the southern end of the Oodnadatta Track, a mountain appears on the horizon. These postcards as so tantilising. I just wanna see more.